Join us on Saturday, April 20, 4:00-7:00PM for a special performance and discussion. 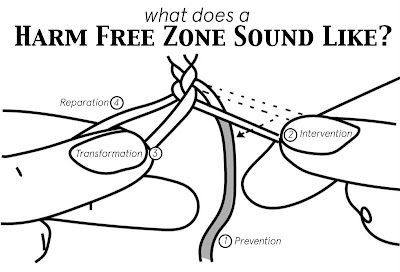 Mutual Aid Project – Marshall Trammell (percussion), Tracy Hui (banjo and electronics), Nick Obando (alto saxophone and electronics) – will be joined by solidarity economists, restorative justice and labor activists, and the general public to listen, translate and broaden practical applications of What Does A Harm Free Zone Sound Like? Part II in everyday practices. 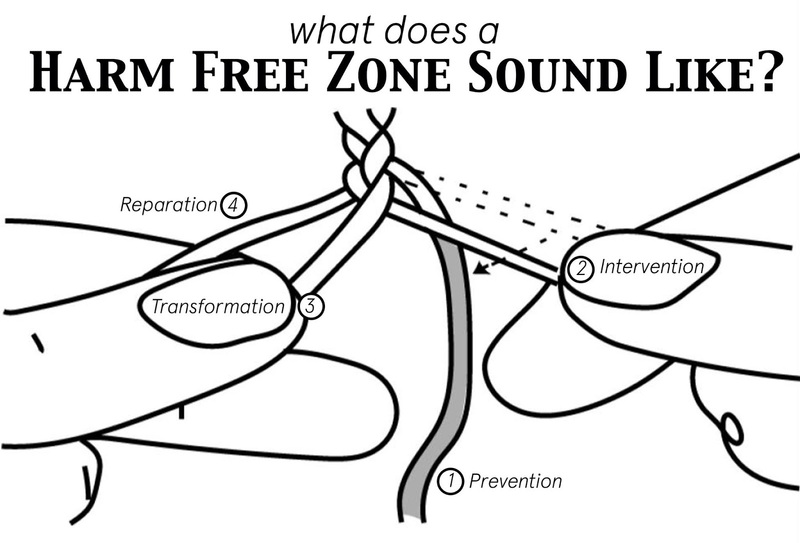 This performance will be a continuation of What Does a Harm Free Zone Sound Like? Part I, but can be equally enjoyed even if you can't make it to the first event. Performing Political Education: Fighting Formations are a series from the “Status Quo Is My Enemy” tour by Improvised Music and Social Practice artist Marshall Trammell, of Antidisciplinarity.net, (formerly Music Research Strategies). Inspired by the historical process of building Harm Free Zones ( sites of Transformative Justice), incarcerated former BPP/BLA Russell “Maroon” Shoatz’ ‘zine “Black Fighting Formations: Their Strengths, Weaknesses and Potentials,” and the tactical media of the Underground Railroad (UGRR), the tour serves to reinserts solidarity technologies of the UGRR and explore the labor-value of i/Improvisation as an everyday life, organizing tool in today's political landscape. “Experimental Love” – A collective exploration of drone, free improv, abstracted song and electroacoustic composition by SIGE Records artists Nordra, William Fowler Collins, Faith Coloccia, Daniel Menche, Marshall Trammell and Aaron Turner. 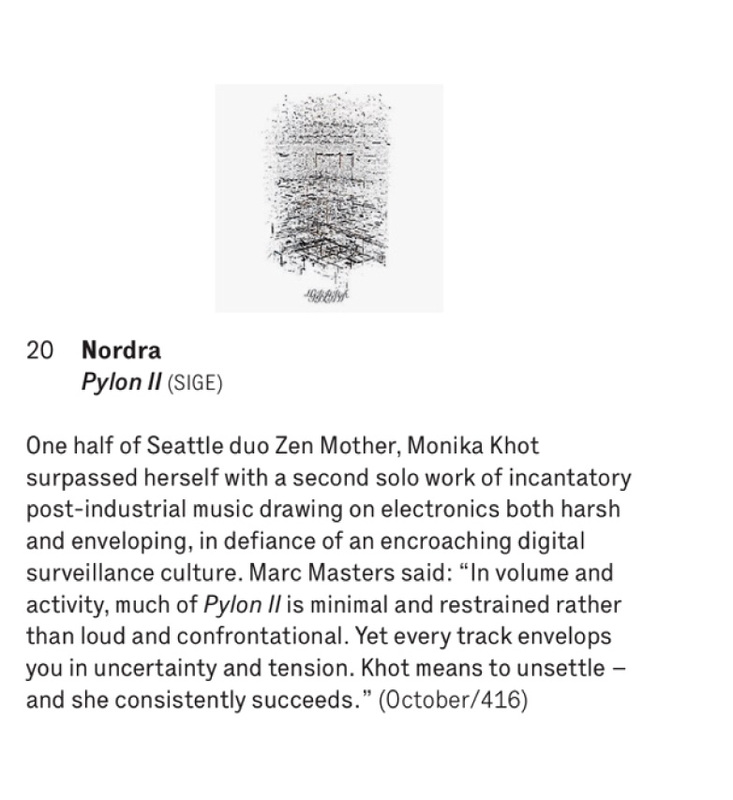 Nordra is the solo project of Zen Mother’s singer and guitarist Monika Khot, on label SIGE Records. Cinematic in nature, Nordra has utilized the trumpet to evoke an uncommon feeling of dread, along with sequenced beats, vocals, and guitar loops. 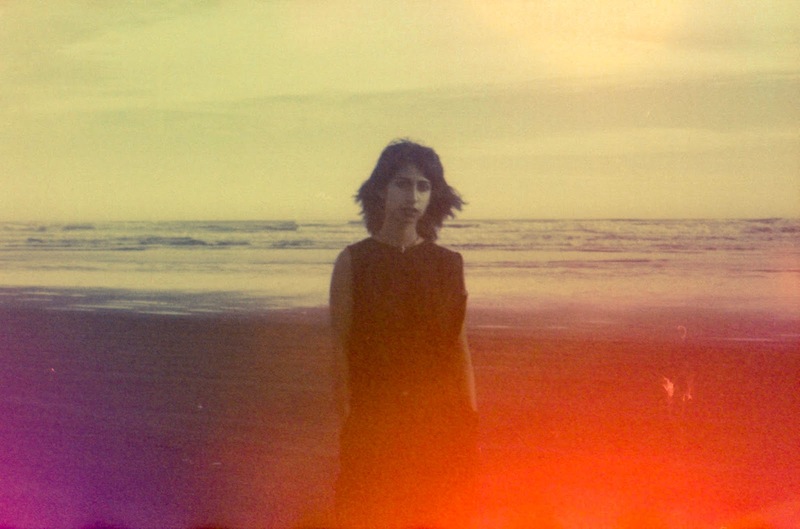 Faith Coloccia is an artist and composer/musician. 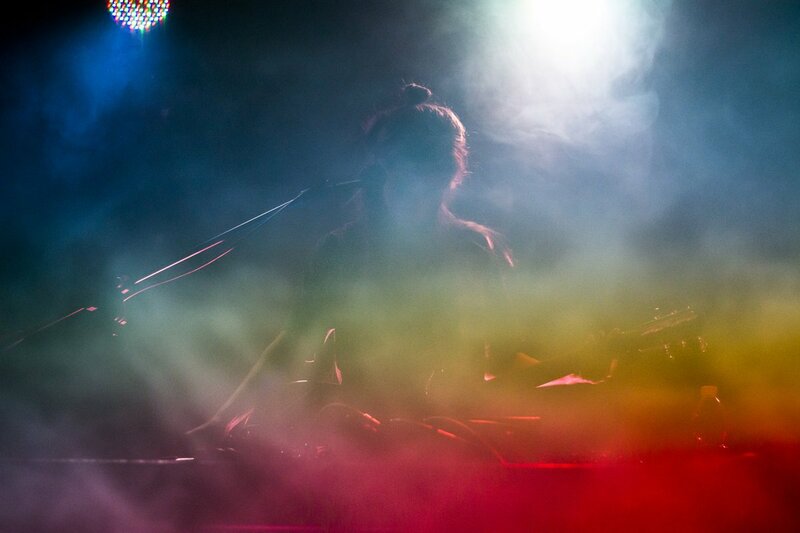 She performs in Mamiffer, Mára and Barnett+Coloccia. She is the co-owner of SIGE records. 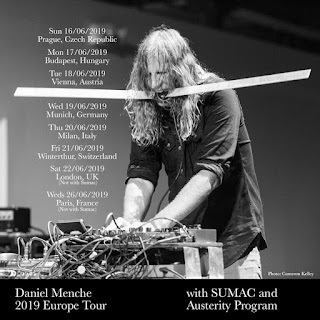 Daniel Menche is an experimental musician and multidisciplinary artist from Portland who has been performing and recording since 1989. He will be performing an electro-acoustic set of string drones reflecting the nature of his most ambient recordings on Sige Records — atmospheric and ominous drones that defy gravity. Marshall Trammell is a percussionist & interdisciplinary cultural producer devoted to social issues. His unique training includes apprenticeships with improvising and folkloric masters, 20+ years as a creative music professional in the Bay Area, and MFA studies at Rensselaer Polytechnic Institute in Integrated Electronic Arts. Currently, Marshall sits on the Executive Committee of the Merced County Arts Council in California’s San Joaquin Valley and spearheads an independent music festival. 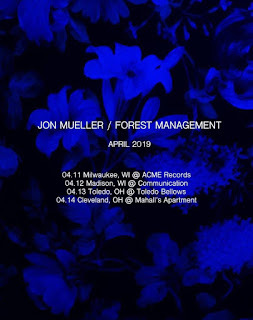 Aaron Turner is a musician and artist known primarily for his participation in groups such as SUMAC, ISIS, Mamiffer and Old Man Gloom. His work has been informed by a lifetime involvement with metal/heavy music, often materializing in highly abstracted forms utilizing improvisation and longform composition. 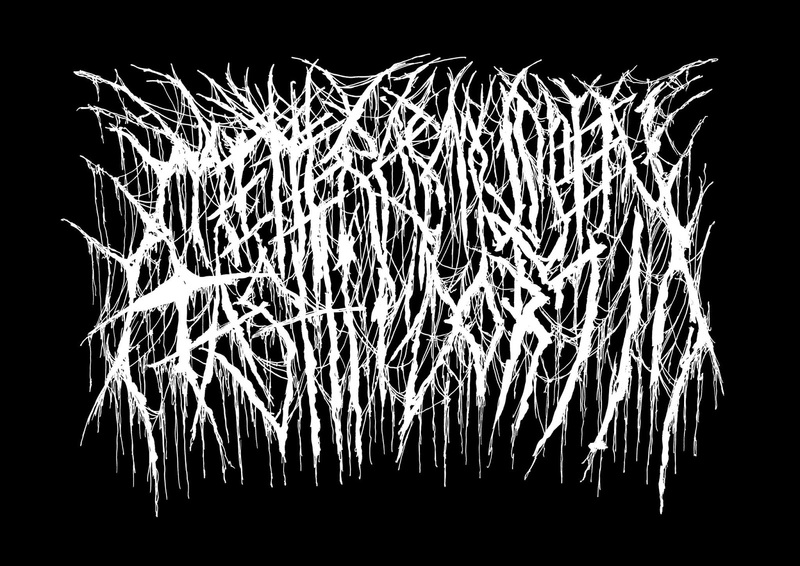 Turner is the founder of the Hydra Head Records label and co-founder of SIGE Records with partner Faith Coloccia. 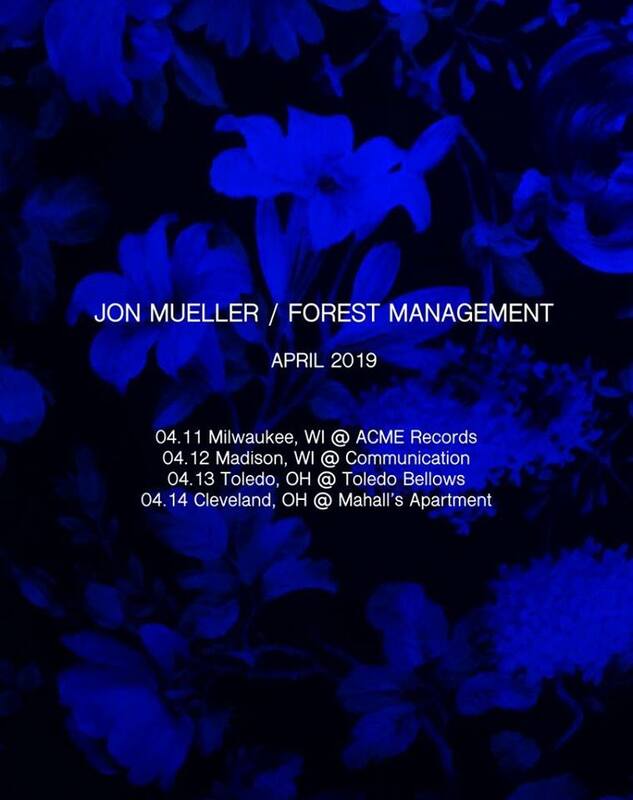 This event will mark his first collaboration with Marshall Trammell. 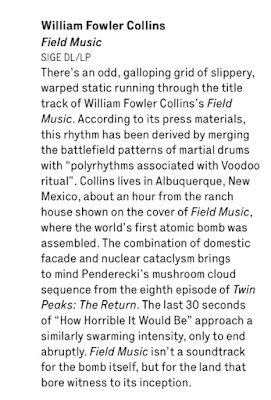 SIGE artists in The Wire JAN rewind issue! 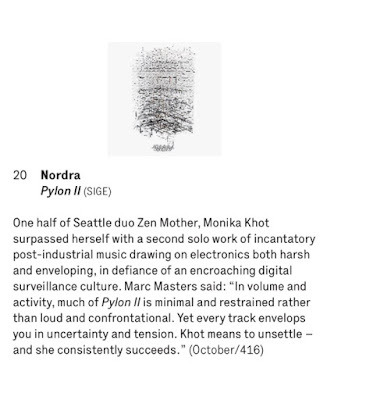 NORDRA (Monika Khot) Ranked #20 out of the 50 best releases of the year and Ranked #1 in the top 10 Noise And Industrial releases of the year with Pylon II! 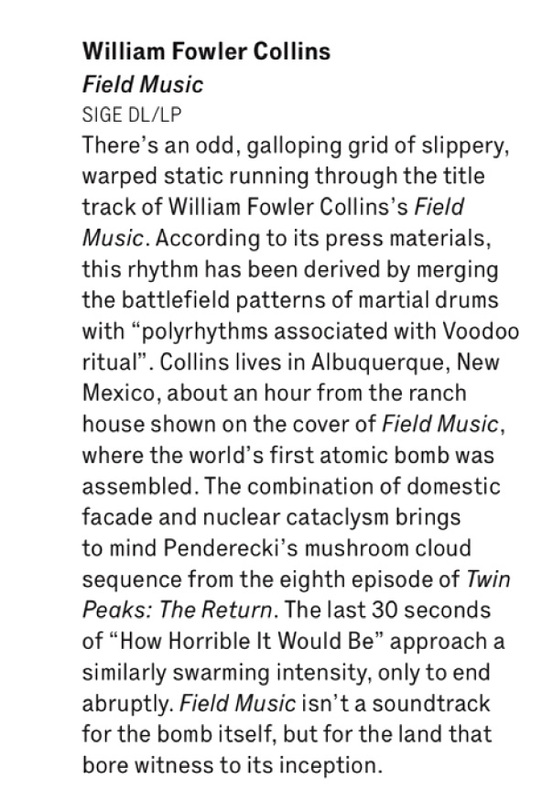 and a William Fowler Collins- Field Music review!